The 6th edition of Sinopale–International Sinop Biennial under the common title “Transposition” will take place in Sinop, Turkey, from 1th August to 17th September 2017. Yalda Afsah´s and Ginan Seidl´s installation, "Bacha Posh" is part of the exhibition in the Icefactory in Sinop, Turkey. 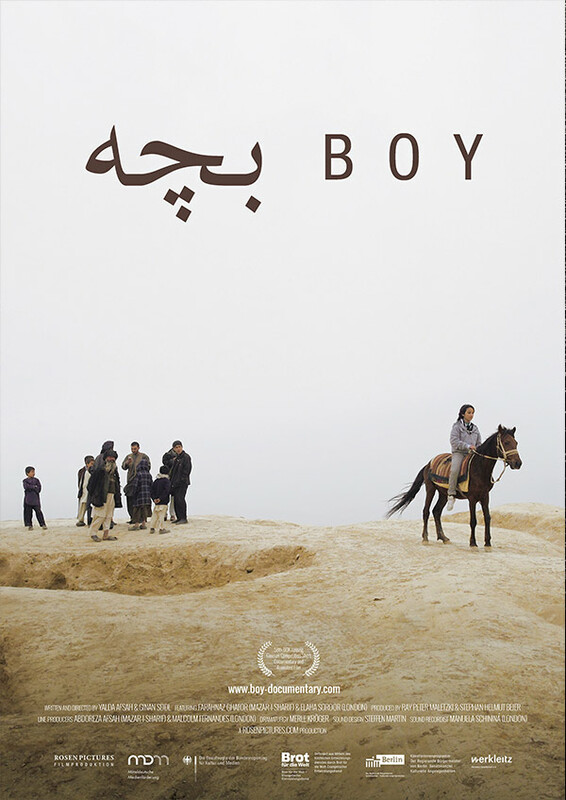 The two-channel installation „Bacha Posh“ narrates through atmospheric pictures of urban landscapes and close observations the life of an 13 year-old afghan girl which is raised as a boy in Afghanistan and who consciously lives all the duties and liberties of her role. The tradition “Bacha Posh” means that girls are dressed as boys and have to fulfill the function of a male family member since very young. The two Screens stand for the outer and inner space, the public and the private life. The installation was created with footage from the short film BOY, wich was funded by Mitteldeutsche Medienförderung, der Beauftragten der Bundesregierung für Kultur und Medien, Brot für die Welt, dem Künstlerinnenprogram der Senatskanzlei Berlin and the Werkleitz Gesellschaft e.V..